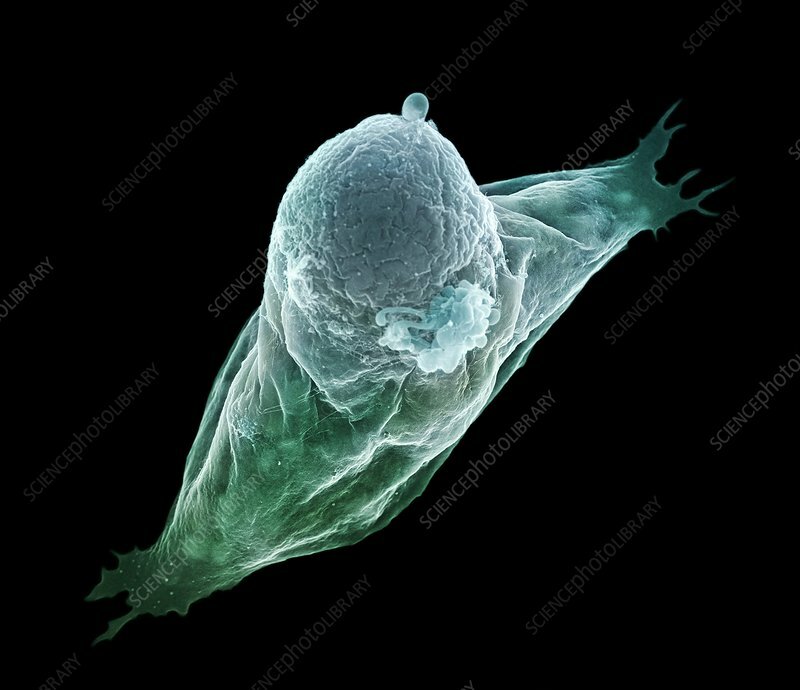 Neutrophil white blood cell, coloured scanning electron micrograph (SEM). Neutrophils are part of the body's immune response. They are highly motile, moving rapidly to areas of the body that are damaged or infected. They extrude extracellular traps to catch and engulf (phagocytose) and destroy pathogens such as bacteria and viruses, and foreign material that has entered the body.